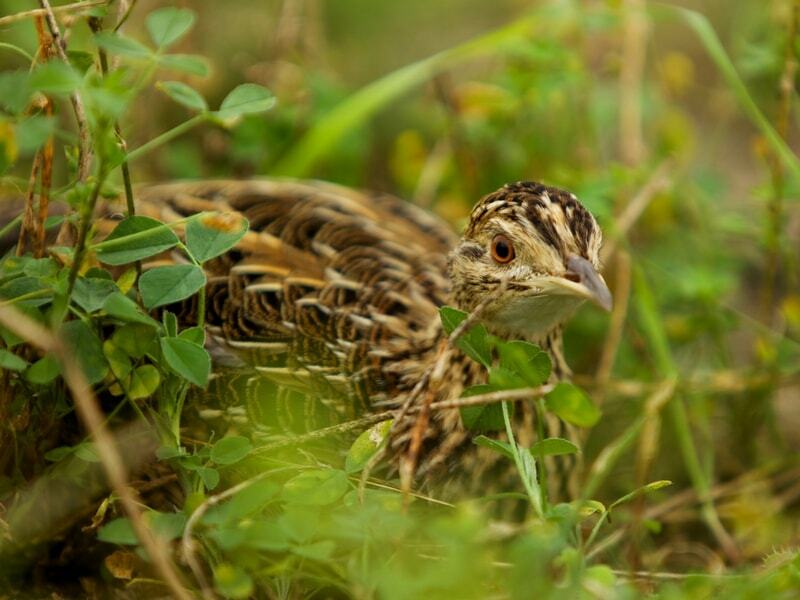 Perdiz are basically a Partridge and are related to kiwis. Unlike a kiwi, Perdiz are not a flightlessbird, however they do prefer to run from danger when possible. They roost together at nightbut during the day they feed individually. As the day goes on Perdiz scatter more and more andthe likelihood of finding many together diminishes, for that reason Argentina Perdiz huntersprefer to hunt in the mornings when the birds have a better chance of being in a localized area. Perdiz like to feed in really short grass so the walking is pretty easy. Because of their tendencyto run hunting with pointers is recommended and in the short grass it is a joy to watch the dogswork. Perdiz will rarely stay still while the dog is on point. You will see your dog point and creep, thenpoint and creep again which means the hunter needs to keep up with the dogs It isrecommended that you hunt Perdiz into the wind, that way the dogs will have a constant scentto go on before the bird will flush. It is much like hunting small pheasants in the US. The Perdiz (Nothura maculosa) is a species of tinamou. This bird is native to grassy habitats ineastern and northern Argentina, Uruguay and eastern or southern Brazil. It is approximately 24 to 25.5 cm (9.4–10.0 in) in length. The upper parts are brown withstreaked buff. The under parts are buff streaked with black and brown on the breast, withbarring to the flanks. Its crown is black streaked with buff and the throat is white. The overallhue in colour varies greatly over its range; in part caused by the differences in soil at the specificlocalities. It and the closely related Chaco nothura, N. chacoensis, are the onlynothuras withbarring to both webs of the primaries. The legs are dull yellowish-grey or brown. The Argentinean perdiz eats plants, typically seeds, and animal matter. In Argentina they seemto eat more of the animal matter then they do in other locations. The call of the perdiz (spotted nothura) is a series of brief high-pitched notes. This species can reproduce rapidly, as the female is mature within 2 months and can have fiveto six broods per year. The male does not mature as fast. The male will incubate the eggs andraise the chicks. Like most tinamous, its eggs have a spectacular glossy porcelain-like shell.This is colored a rich maroon or chocolate brown in this species. The clutch contains 4-6 eggs.All tinamou are from the family Tinamidae, and in the larger scheme are also ratites. Unlikeother ratites, tinamous can fly, although in general, they are not strong fliers. All ratites evolvedfrom prehistoric flying birds, and tinamous are the closest living relative of these birds. 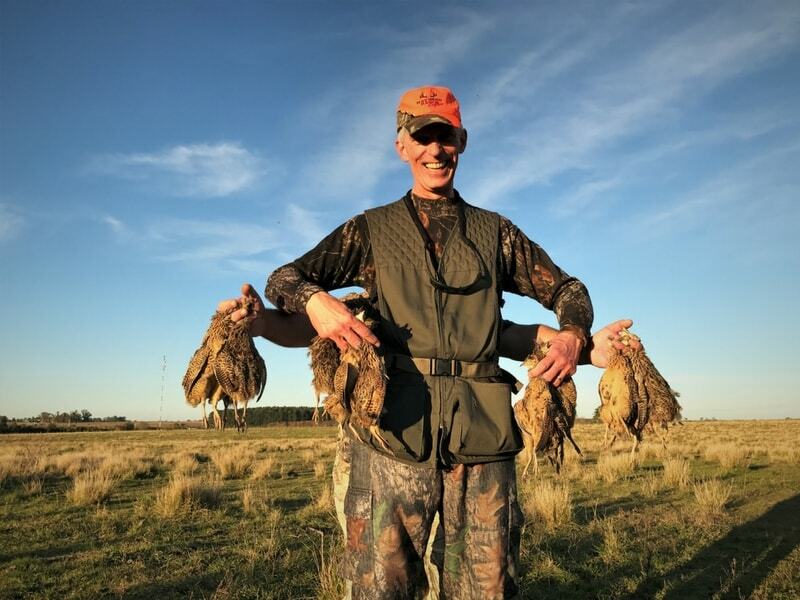 Argentina is famous for its Dove Hunting and Duck Hunting but many first time hunters don'tknow about some of the other types of hunting like for Perdiz. Hunting Perdiz is a break in the action for the avid wingshooter. 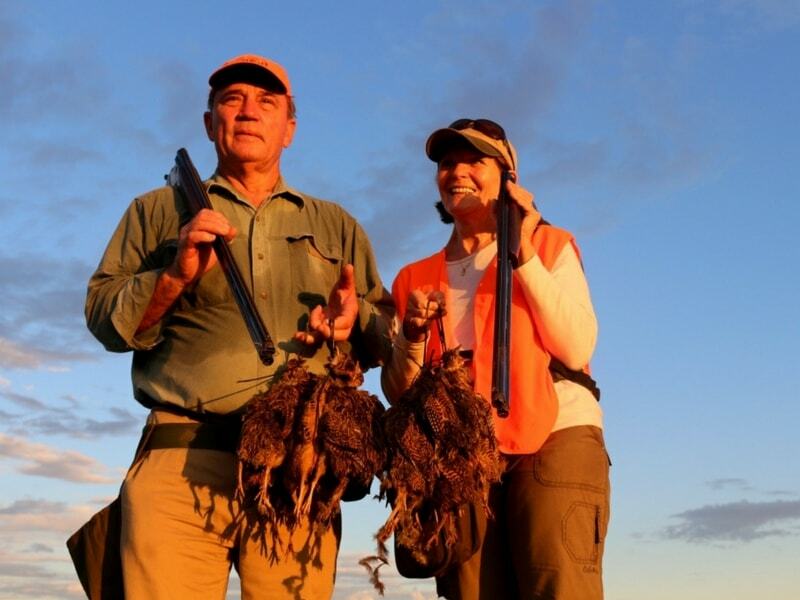 Its not as faced paced ashunting for Dove or Pigeons but if you enjoy hunting over dogs you will love hunting Perdiz.